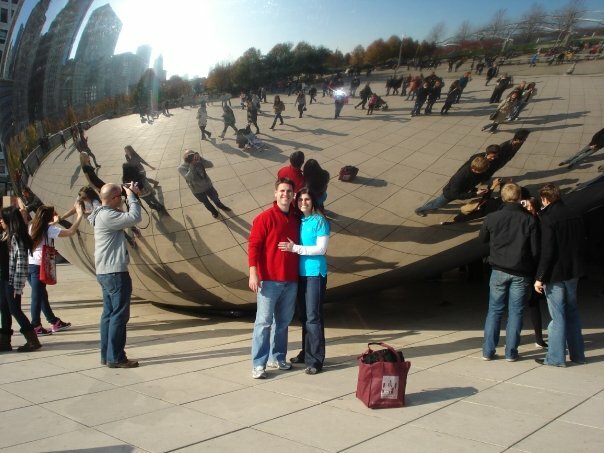 This was our trip to Chicago to decide if we wanted to move here. 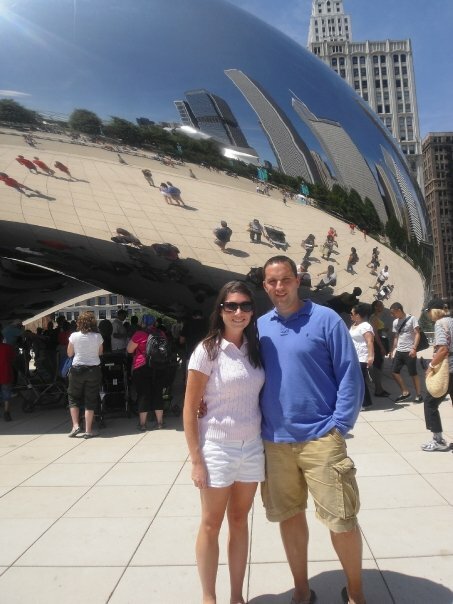 It was my first visit to Chicago, and I cannot WAIT for this summery weather again! 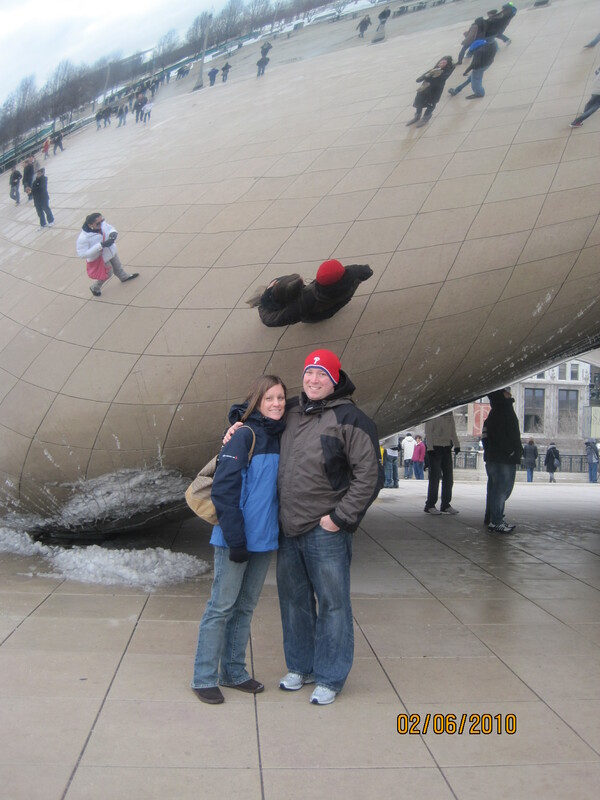 Jenny and Steve were our first official visitors and got engaged at the bean that weekend! 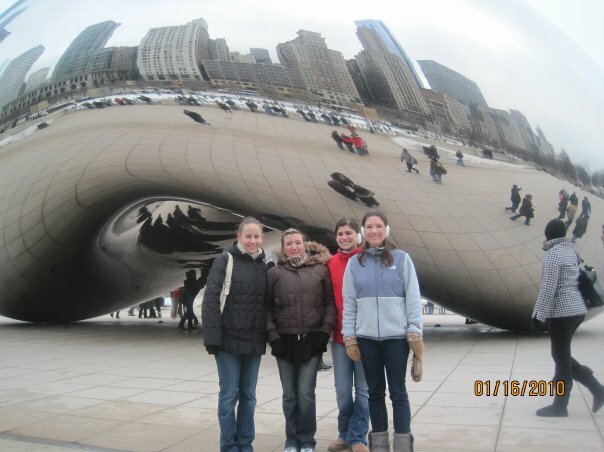 Three of my best girlfriends braved the Chicago winter and visited us for a long weekend. 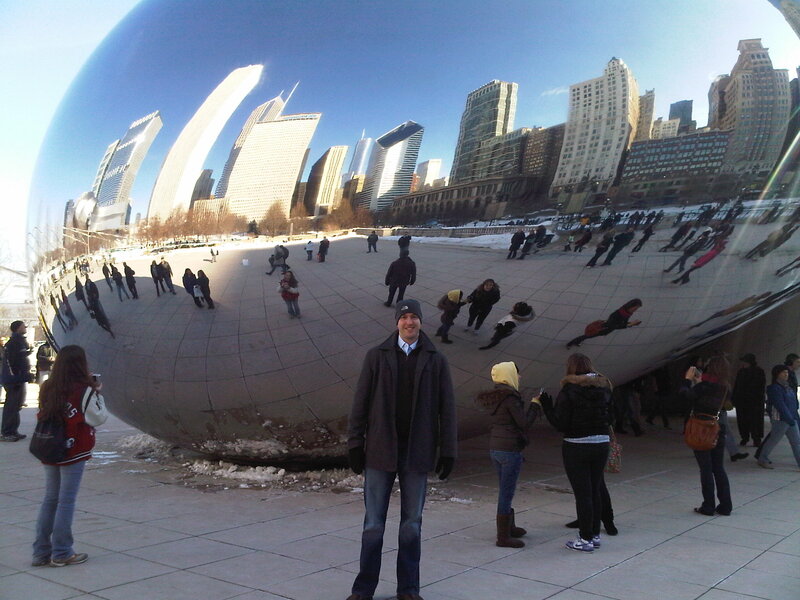 Kyle was also not intimidated by the Chicago wintery weather and came to stay with us for 6 days. 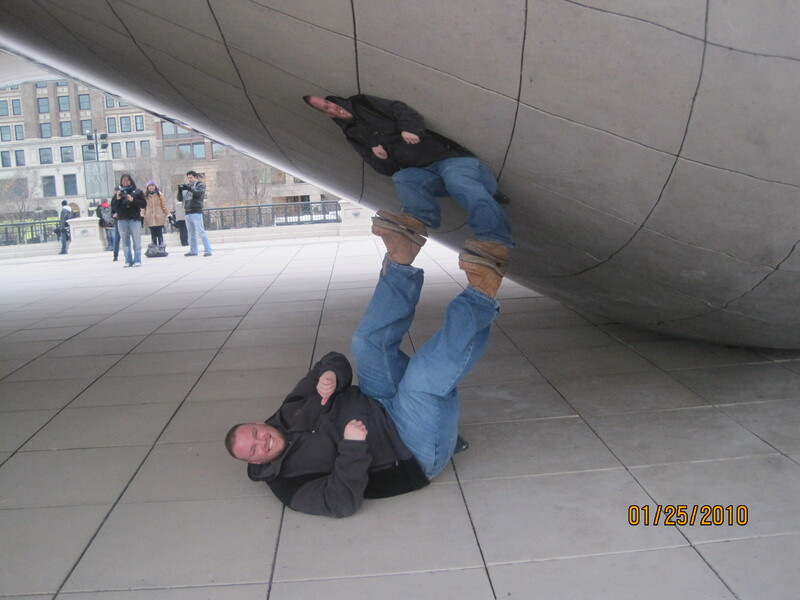 Thank goodness he was here to hold up the bean or it might have tipped over. 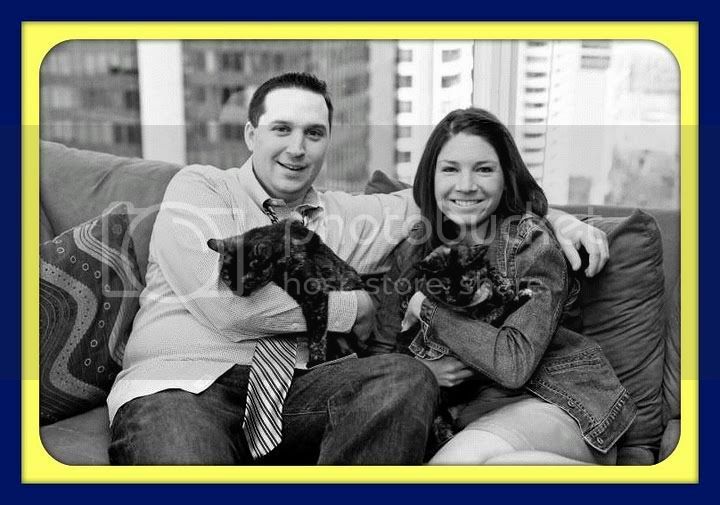 Kim and Caleb escaped a historic Philadelphia blizzard and visited us to celebrate Caleb’s 30th birthday! Hoagie’s best friend from college Drew joined us for a last night weekend visit. The boys had a great time catching up and plotting future plans for their business venture called “Ho-Bag”.